New shipboard programs at G Adventures combined with more active excursions are helping drive a strong 2018 for the one-ship expedition operator. The company has six projects underway working with scientists on data collection, including agreements with NASA and the Stony Brook Institute, according to Susan Adie, expedition operators manager. 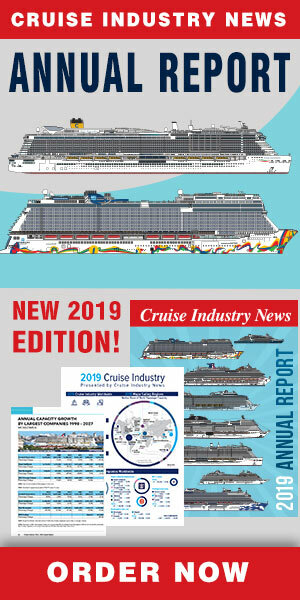 "Within that citizen science program is an opportunity for guests to work with us, and we help them to facilitate data collection,” Adie said, in the 2018 Expedition Market Report by Cruise Industry News. Adie has been in the expedition world for three decades, and serves as the company’s rep for IAATO and AECO. As expedition operations manager for G Adventures, she develops and designs itineraries, hires and trains the company’s expedition leaders and manages documentation for permits the ship needs to operate in remote areas. The ship splits its time, winter in Antarctica, spring in coastal Norway, and summer in the Arctic. While no new regions are on the schedule for 2018, the vessel, the Expedition, is finding its way into more remote Norwegian fjords. The company has also added more physical excursions, including hiking in almost every destination. The excursions help appeal to a slightly shifting guest demographic: a few younger passengers, and more active, but older guests. The majority of them, around 60 percent, are from English speaking countries. The number one challenge of operating in Antarctica? Winds really start interfering with the program at 35 and 40 knots, limiting not only vessel operations but the ability to land, or run zodiac cruises. With the number of visitors to the southernmost continent rocketing upward, Adie advised that operators in the region need to mitigate potential harm. And for guests, it’s not all about landing sites, she said, as there are a number of other experiences that are equally valuable that don’t require a landing. The dozens of ships in the region try to work around each other to help preserve the experience and the environment. They map out itineraries and submit them to a centralized database ahead of time. “Then we go to Antarctica and weather is weather. We have communication, emails between the ships, we all email each other and make it work,” explained Adie, adding that same-day radio communication helps work out congestion as well.